ѕитомник сибирских и невских маскарадных кошек "Ќевский стиль"
Cattery Neva Masquerade & Siberians cats "Nevsky Style"
Welcome to the cattery "Nevsky Style"! We live in Siberian city Omsk, Russia. 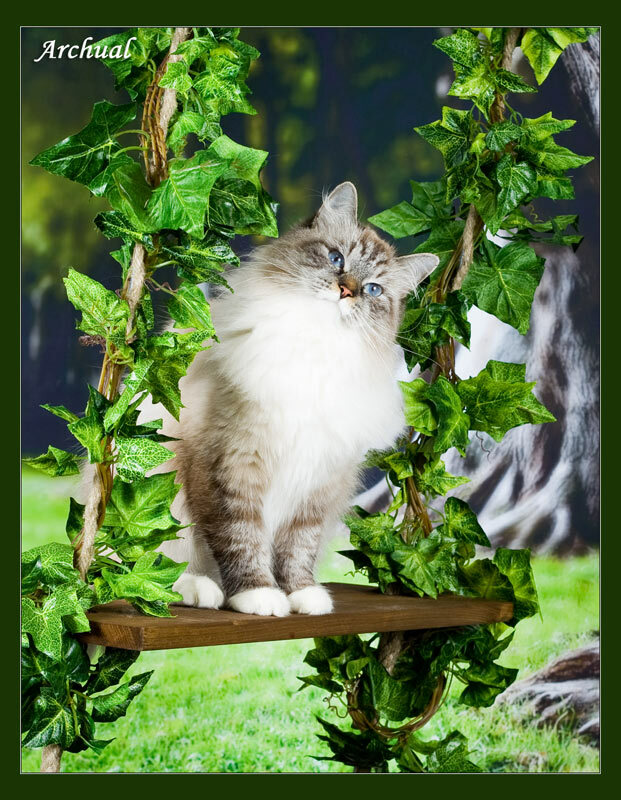 We love cats and breed Neva Masquerade & Siberians cats since 2002 year. We work with lines of world-famous catteries "Lion's Heart" and "Siberian Empire". We are very grateful to owners of these catteries for nice cats who became the basis of our cattery. 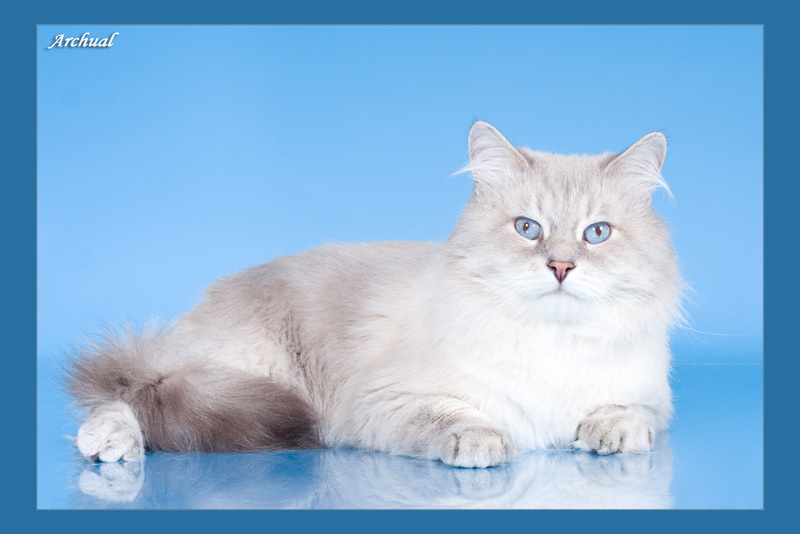 Cats of our breeding have nominates of Best in Show and became Winners of International Cat Shows. Our kittens live in other countries: in Germany, in Holland, in Canada, USA and in Italy. Our cattery is the member of the ICU (International Cat Union), "Funny Cat Club", Omsk. We work on TICA standart. 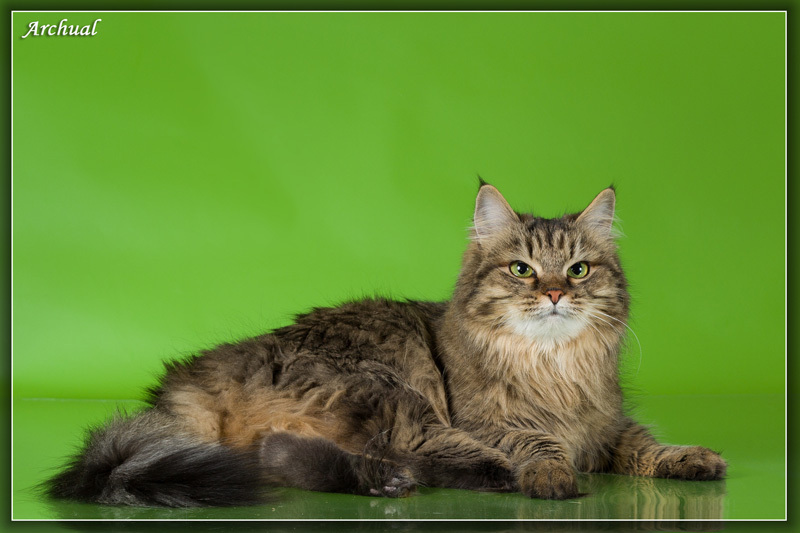 All our females and males which we breed with are tested for HCM&PKD, FIV&FeLV. On our page you can see our cats, teenagers, kittens and read about our breeding and future plans. We have many good friends-breeders all over the world and glad to communicate with new friends. Please, contact with us if you have some questions about our cats, kittens and etc..
We wish you a pleasant stay on our homepage and hope to see you soon again! 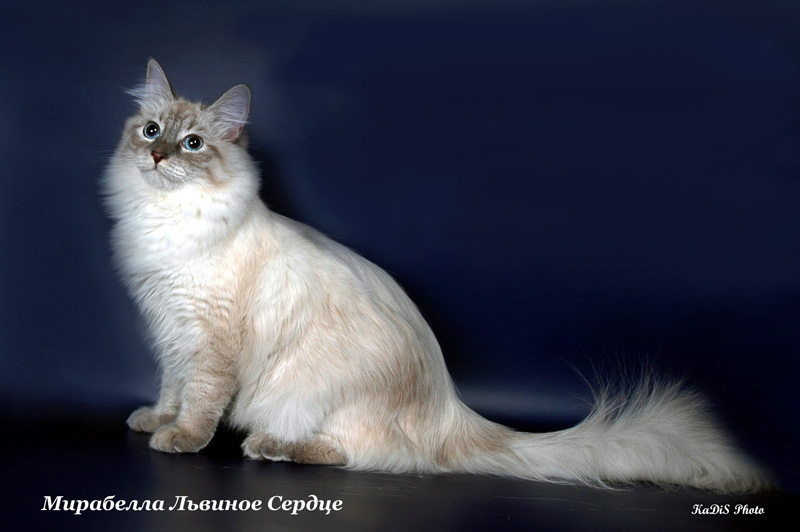 In mid of February, we will wait the kittens from the pair Nevsky Style’s Barbie and Berendey Siberian Empire. In mid of February, we will wait the kittens from the pair Lion’s Heart Klotilda and Nevsky Style’s Kapiton. We have the kittens born 8 of Oktober from the pair Nevsky Style’s Alexandra& and Berendey Siberian Empire.1 boy of color blue-point and 2 nice girls of color seal-lynx-point and seal-lynx-point with white), see the pictures of litter G2. In mid-October, we will wait the kittens from the pair Nevsky Style’s Alexandra and Berendey Siberian Empire. In late September, we will wait the kittens from the pair Nevsky Style’s Businka and Berendey Siberian Empire. 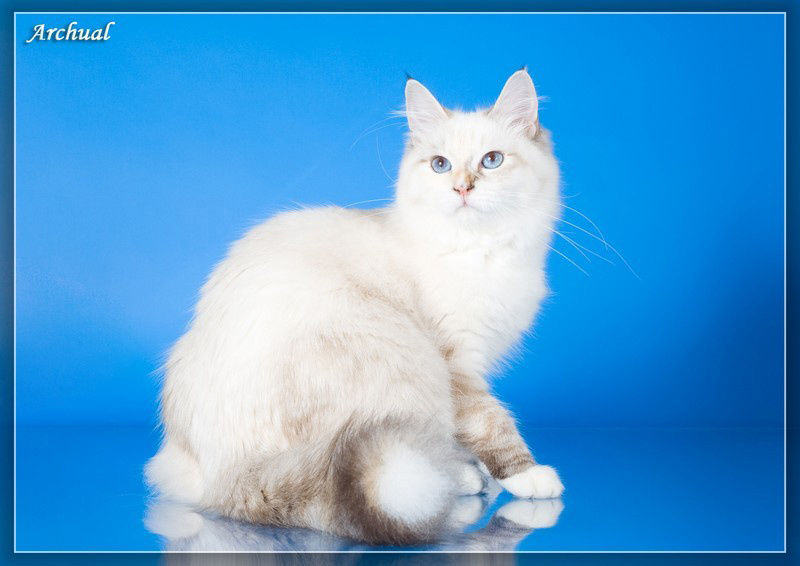 We have the kittens born 1 of May from the pair Sibir-Favorite Lika&Nevsky Style’s Kapiton, all kittens have white paws(1 boy of color red-lynx-point and 2 nice girls of color seal-lynx-point and bluel-torbie-point), see the pictures of litter F2. We have the kittens born 14 of March from the pair Frosen’ka Sibirskaya Znat’ &Berendey Siberian Empire one boy and one girl, all are of color brown-spotted tabby, see soon the pictures of litter E2, see last litter M from this pair. We have the kittens born 4 of February from the pair Barbie Nevsky Style&Berendey Siberian Empire(3 boys seal-lynx-point, blue-point and blue-lynx-point, see soon litter D, see last litter O,L from this pair. We have the kittens born 31 of January from the pair Klotilda Lion's Heart&Berendey Siberian Empire, all kittens have white paws(2 boys of color seal-lynx-point with white and 1 boy seal-point with white, 2 nice girls of color seal-lynx-point with white), see soon litter C, see last litter S from this pair. We have the kittens born 21/05/2013 from the pair Mirabella Lvinoe Serdtse and Ozzi Lion's Heart: two boys of color seal-point with white paws and of color blue-point and one nice girl of color blue-lynx-point. See litter B2.